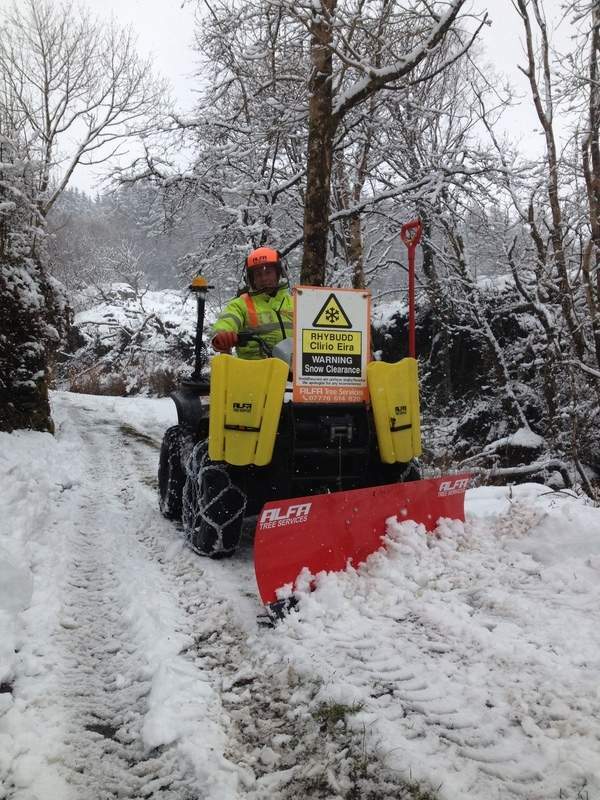 We are now able to carry out commercial snow clearance for clients using our Quad with chains and plough. This is enhanced with manpower using shovels and trailers to move accumalations of fresh snow and spread saly/grit before it has chance to turn to ice. If you have nearby premises that require access at all times of the year please dont hesitate in contacting us before the snow arrives so we can deliver a plan of action.